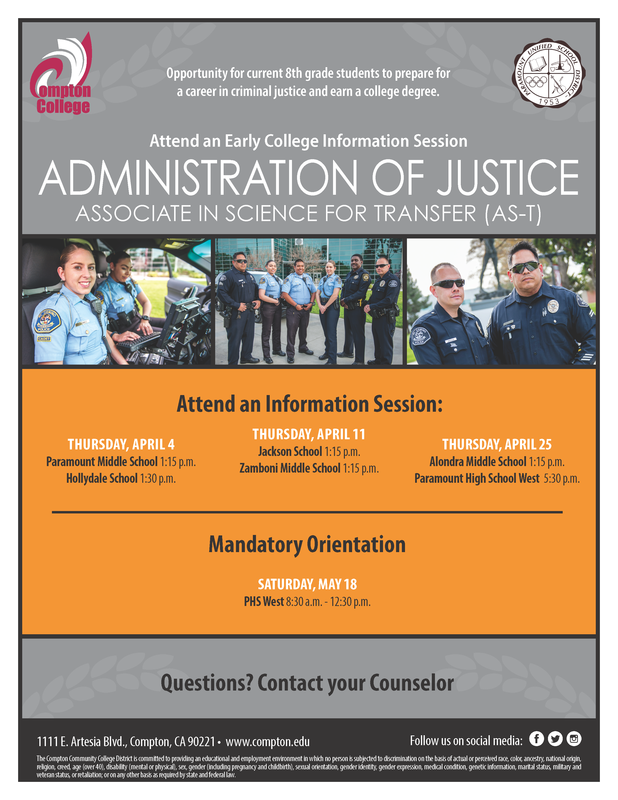 PHS Administration of Justice Early College Program » Welcome! 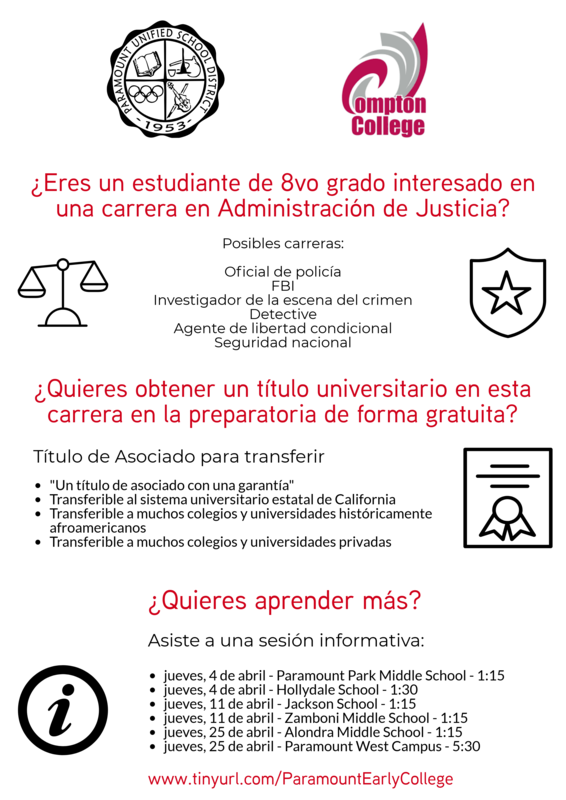 We are pleased to announce that we are starting an Administration of Justice focused Early College Program in partnership with Compton College at Paramount High School West Campus beginning in the summer of 2019! 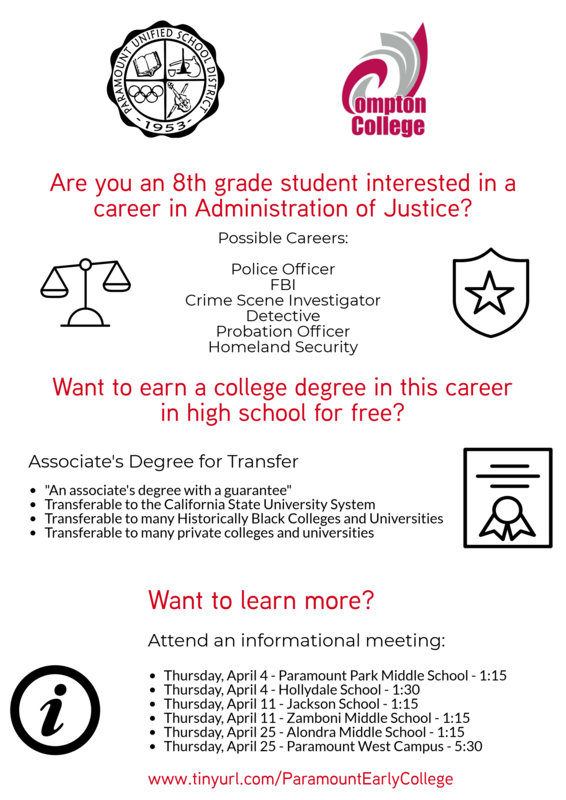 Students who participate in this program will have the opportunity to earn an Associate's Degree for Transfer (AS-T) in the area of Administration of Justice and a high school diploma at the same time for free. The program will start in the Summer of 2019 with a cohort of about 20-30 new 9th grade students. At these meetings, interested parents will learn more about the program, have the opportunity to ask questions, and how to apply. Please also review the additional information on this website.